Happy Sunday! I hope you all had a fabulous weekend. I sure did! I have been working out since I joined the gym and trying new classes such as yoga and Pilates. Last night I went out with a friend to No.41 club and today I woke up with a headache but I was still able to go for coffee with a friend. 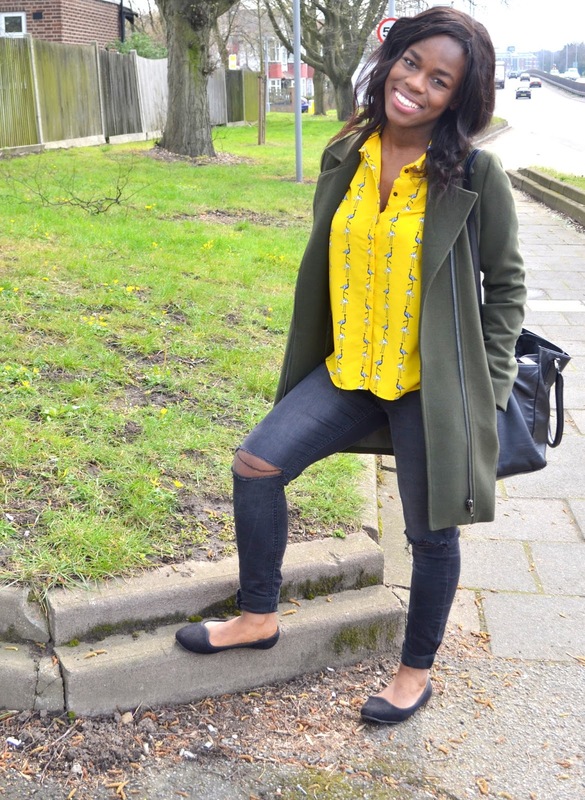 I wanted to pass by and share my latest spring outfit. 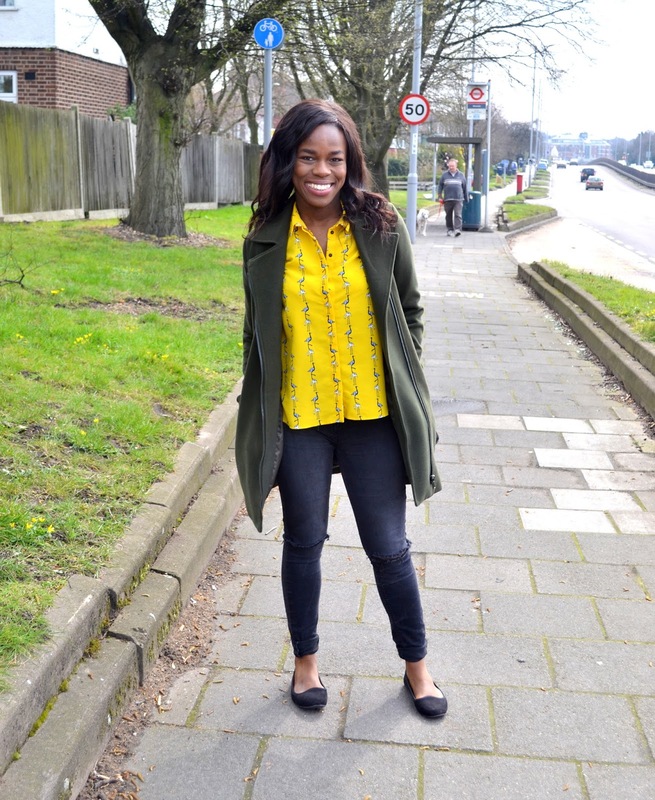 I was going for lunch and explore Camden Town that day so I decided to wear my flats but I wanted to wear my yellow top for once. I bought it last year at a vintage shop in Camden and I never wore it so decided why not!.